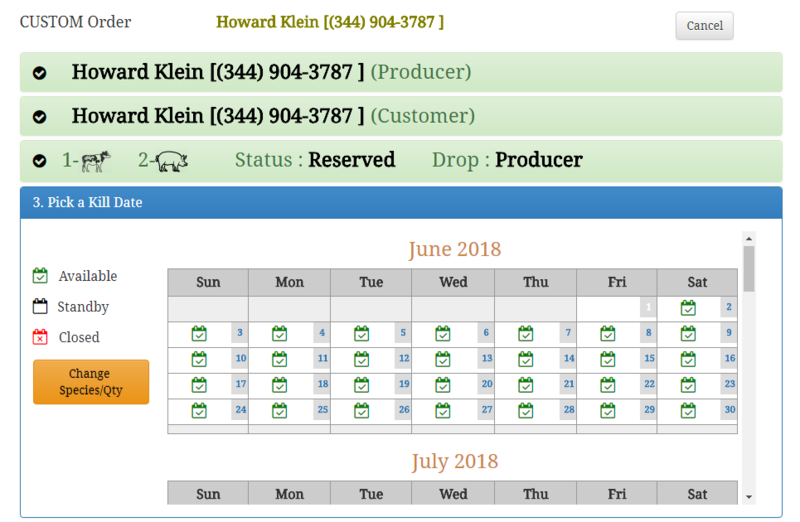 Scheduling software for meat & wild game processors from finerbutcher.com. The calendar lets you know which days are available to make the appointment. You won't have to scramble for the hand-written calendar, flip through pages or decipher someone's handwriting. See appointments in an easy to read list. Sort, filter and search the data according to your needs. Even print a hard copy if ncessary. You only have to enter Customer information once. Then a few characters of their name or phone# is all it takes to find them next time. Just entering an Order creates all the lists/schedules you need. Drop, Kill, Cut or Invoice without lifting a pen.